Most pre-workout powders are not ketogenic. You get a load of not-so-hidden carbs in one gulp of your regular workout drink mix. So many garbage ingredients like sucralose that spike glucose and set you back in your ketone production. Artificial flavors, binding agents, emulsifiers that cause GI distress and inflammation. And most don’t have ketones, which you absolutely need as an energy source while on a ketogenic diet. That’s where this new tool from Perfect Keto comes in, and this guide aims to help you make the most of Perfect Keto Perform Pre-workout: the only keto sports drink! 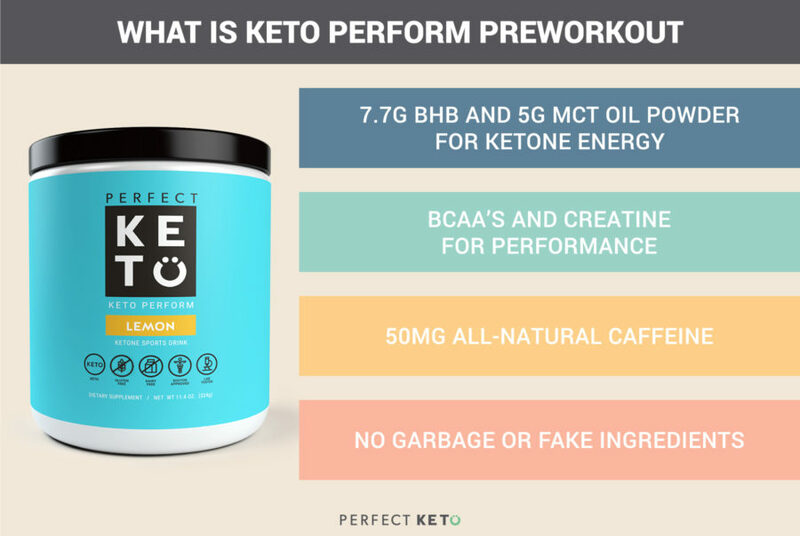 What is Perfect Keto Perform Pre-workout? Every scoop of Keto Perform is a powerful mix of amino acids, MCTs, ketones and caffeine scientifically proven to give you a clean energy boost and help muscle growth, designed to fuel and support any type of workout while on the ketogenic diet. You need your mind and body working in sync. The ingredients of Keto Perform Pre-workout give you everything you need for performance. One serving of Keto Perform Pre-workout gives you 7.7g of BHB. Beta-hydroxybutyrate is the first ketone body that kicks the metabolic state of ketosis into action. You get it from good fats like eggs, milk, cream, butter and ghee, and from exogenous ketones. BHB gets carried around in your blood and enters your cells, turning into acetoacetate (another ketone body), which in turn becomes acetoacetyl-CoA, which cleaves to acetone (another ketone body) and acetyl-CoA. Acetyl-CoA brings the ketones to the Krebs cycle, so you get adenosine 5’-triphosphate, or ATP, a.k.a the money! The energy coins of your cells. Therefore, BHB = ATP = energy. You get it straight up from MCT oil powder and ketone supplements, and the following fat sources are loaded with MCTs: coconut oil and palm oil, milk, butter or ghee, cheese, and yogurt. One scoop of Keto Perform Pre-workout contains 5g MCTs. Medium-chain triglycerides are famous, well-loved easily digestible fatty acids, easy to convert into ketones for energy, making it important in the ketogenic diet. For your workout, you can’t do better than the instant clean energy that comes from MCTs. BCAA’s are for muscle growth and preservation and fatigue prevention. Speaking of weight lifters, BCAA is also popular in the body building set. Every scoop of Keto Perform Pre-workout has 2g of 2:1:1 BCAA, branched chain amino acids, composed of leucine, isoleucine and valine. Together, they promote muscle protein synthesis and cellular glucose uptake. Beta-alanine is the carnosine precursor, important in protein metabolism and an acid buffer your cells store and use during diet-induced pH drops, which can occur in ketosis. Beta-alanine (and carnosine) are found in abundance in beef, pork and poultry. Because of carnosine’s importance in protein metabolism and skeletal-muscular strength, scientists are studying if carnosine should be recommended as a supplement to vegans and vegetarians. L-citrulline is included to help with endurance and preventive for muscle soreness. L-citrulline is another popular amino acid when it comes to sports and training. Keto Perform Pre-workout has 500mg L-citrulline in every scoop, for reduced muscle soreness, and better endurance for your workouts. We recommend 1/2 scoop to start and work up to 1 scoop and then decide what is best for you. Some keto-ers use 2 scoops a day. Mix it with water or your current favorite drink. It’s in lemon flavor: play with it in your green juices and keto smoothies. Keto Perform Keto Pre-workout is a perfect blend of powerful ingredients for ketone energy, and strength and endurance from amino acids. Do more reps, run another mile, continue for another half-hour: Keto Perform enables you to sustain your progress or build on it! Going on night shift? Preparing a report, presentation, or doing an all-nighter for your thesis? Fixing code on a problematic website? Is it tax prep time? Want to finish a home or garden improvement project you’ve been meaning to get done for weeks? 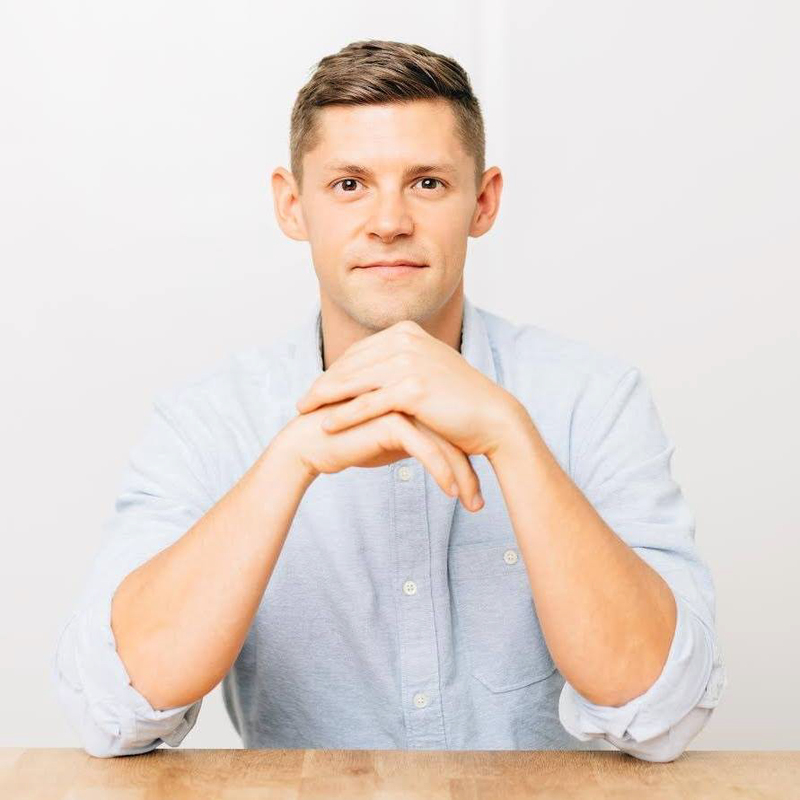 Aside from providing energy and wakefulness, all the ingredients in Keto Perform also contribute to better mental acuity to help you get tasks done, and done well. And unlike with coffee bingeing, you won’t experience crashes! Maybe you have toddlers, or you’re babysitting toddlers on a morning. Or you’re going on a hike with friends. Or it’s your wedding day! Keto Perform is your partner-for-every-crime, giving you that boost you need to stay on top form and, well, perform! Mix 1/2 – 1 scoop with 8-10 ounces of water or your favorite low carb beverage, 15-30 minutes before exercise. If you are working out for more than an hour, use 1/2 scoop per hour. As mentioned above, once you’ve gotten into the groove, you can use 2 scoops for the day. Keto Perform is another completely clean product from Perfect Keto. No soy, dairy, gluten, artificial sweeteners, or anything that doesn’t directly improve your health. Only powerful ketones and amino acids each of them highly desirable and scientifically proven to power you through a workout or any grueling parts of your day. Like other Perfect Keto tools, Keto Perform Pre-workout tastes awesome: in that tangy lemon flavor that tells your brain you just drank something healthy, except it really IS healthy, not fake-healthy like other workout drink mixes! Given the caloric intake of 1 scoop- is this likely to break my fast? And I have a high caffeine tolerance so is there any plans in the future to increase the caffeine levels per scoop? hi – my husband and I have just started taking this supp prior to a CF WOD and have noticed within 5 mins of taking it, a slightly burning and tingling feeling on the side of our faces and for me also in my palms. It doesnt last long, just wondered if this is an allergic reaction or something in the product? Is this ok? Hi Christine, the tingling feeling you may experience is often the effects of beta-alanine, a keto-friendly ingredient we’ve included in the formula. If you’re new to beta-alanine, your body may exhibit this response quite surprisingly. This is a harmless side effect and should last no longer than 60-90 minutes and will decrease with continued supplementation. We recommend that you slowly ramp up your regimen from 1/2 scoop and work up to 1 scoop and then decide what is best for you. Mix 1/2 – 1 scoop with 8-10 ounces of water or your favorite low carb beverage, 15-30 minutes before exercise. If you are working out for more than an hour, use 1/2 scoop per hour. Will this pre workout break my fast? I train early morning fasted and sometimes I could use a little boost. Hi Windy, it generally shouldn’t break your fast but some people are a bit more sensitive than others. It will still depend on the goal of your fast. If it is just for ketosis, then you are golden.